Is anyone else totally guilty of punishing their skin? 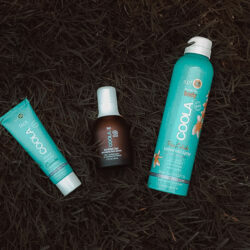 You know when it’s breaking out…or super oily…and you think, “UGH, give me a product that’s going to whip my skin into shape!” So you reach for anything that promises to restore your skin and it typically comes with some strong ingredients that may do the trick temporarily, but only cause more issues in the end. For me, the big culprit to my skin care woes is foaming cleansers. You’re thinking: “What’s the big deal? Almost every cleanser I can think of makes foam! Heck, that’s what makes my skin feel clean.” I used to be right there with you friends. Foaming cleansers contain “surfactants.” The most common form of a surfactant is sodium laurel sulfate, a.k.a. the stuff that makes those satisfying bubbles! These bubbles can be totally irritating, especially to those with sensitive skin. 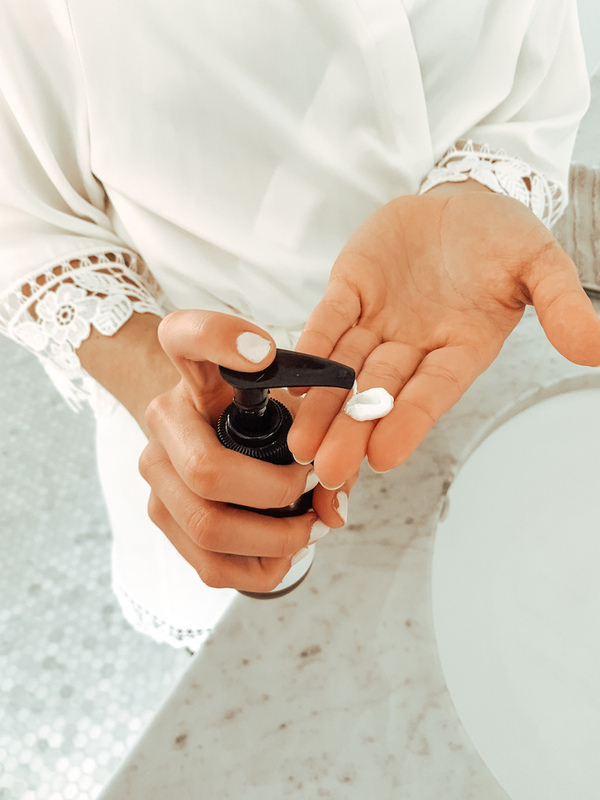 It can be irritating because the outer layer of your skin is kind of built like when you paint your nails…the color coat being your skin cells and the top coat being the protective barrier. Surfactants slowly chip away at that protective barrier which can cause irritation, inflammation, and worsening of acne or rosacea. NO THANKS! Here’s the good news: not all foams are super damaging. 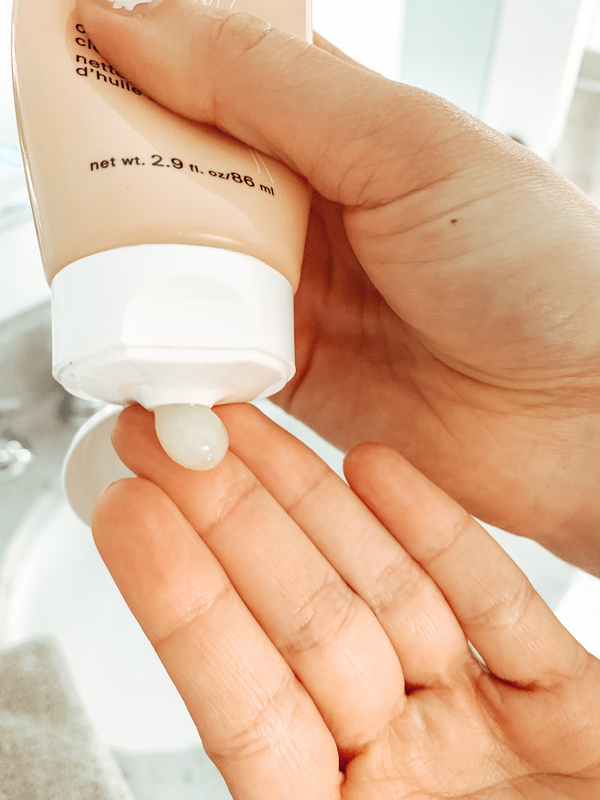 If you were to use a foaming cleanser such as the YTTP Superfood Antioxidant Cleanser, you probably wouldn’t notice so much irritation because there are zero sulfates in that cleanser! That said, for me I’ve found that non-foaming cream or gel cleansers are the way to go. There’s no questioning if they’re damaging my skin and I can visibly see the results of my protective barrier being restored and maintained. 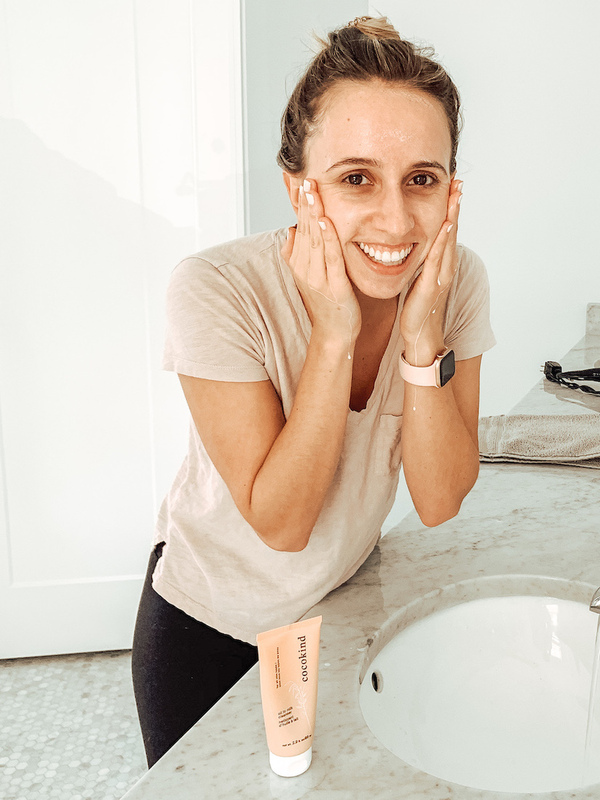 So, I’m pulling together my review of three different non-foaming cleansers! Let’s get into it. Where to buy: Ulta or our Shop Page! 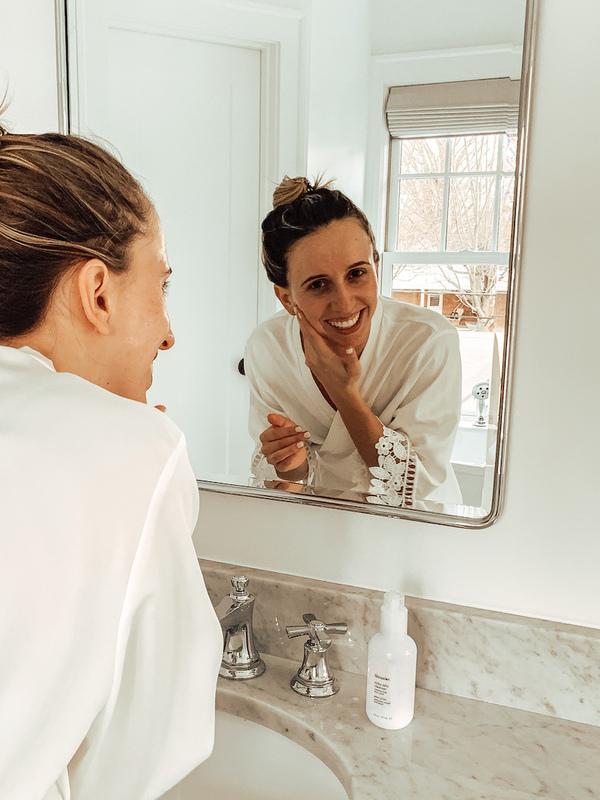 One of my favorite cream cleansers of the past, Grown Alchemist Hydra Restore Cream Cleanser, stood out to be because of it’s truly creamy texture, smell, and the way it made my face feel: nourished! My biggest problem with it was the high price tag. In order to save my pennies, I started looking for an effective replacement. 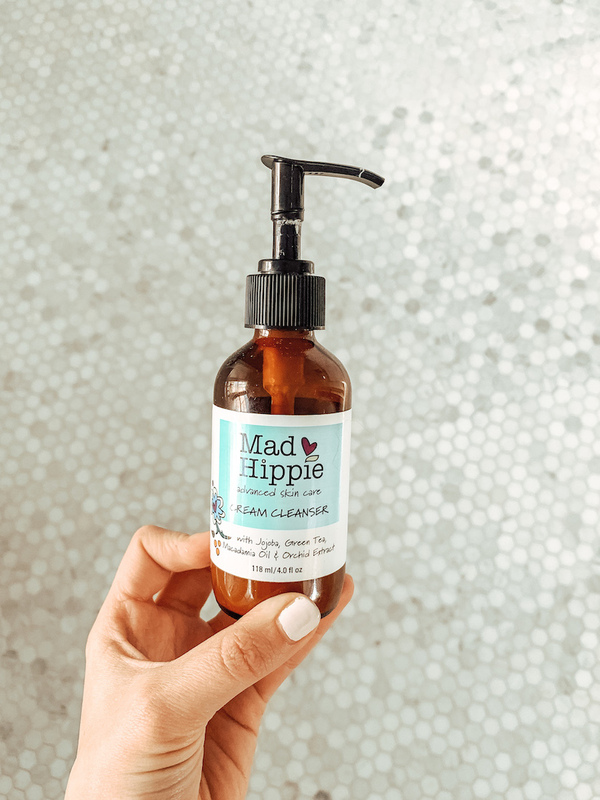 I originally picked up the Mad Hippie Cream Cleanser at Whole Foods. (That Whole Foods beauty aisle gets me everytime…) It was truly creamy, like Grown Alchemist, but it was a fraction of the price and still had squeaky clean ingredients! 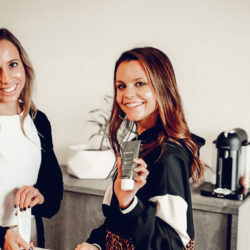 Organic Jojoba Oil: Closely resembles our own skin’s lubricant and helps to provide that protective barrier that many foaming cleansers breakdown. 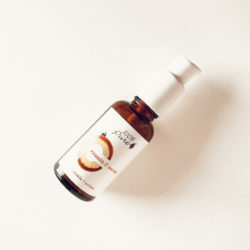 Organic Macadamia Oil: Absorbs quickly into the skin to provide instant moisturizing effects. Sodium Hyaluronate & Sesame Oil: Both help to moisturize, even skin tone, and prevent wrinkles. After experimenting with this cleanser, using the entire bottle because I loved it so much, I found it to be super competitive with Grown Alchemist! 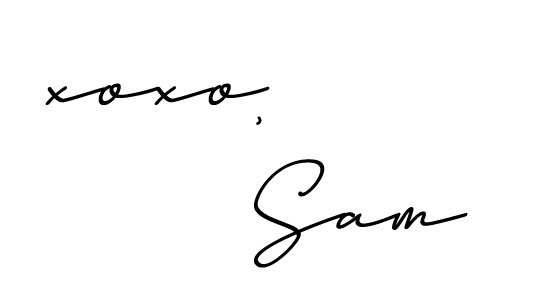 It gave me the same nourished feeling that I loved so much. Also it smells SO good! It has the most scent of the three cleansers in this post, but nothing artificial or too overpowering. Just sweet-smelling goodness! If you’re looking for a reliable cream cleanser that you can pick up at a store, without paying shipping costs, this one’s for you! Where to buy: Glossier or our Shop Page! It’s been a while since I’ve talked about anything Glossier! If you’ve been following for a while, you know that I’m totally Glossier obsessed. 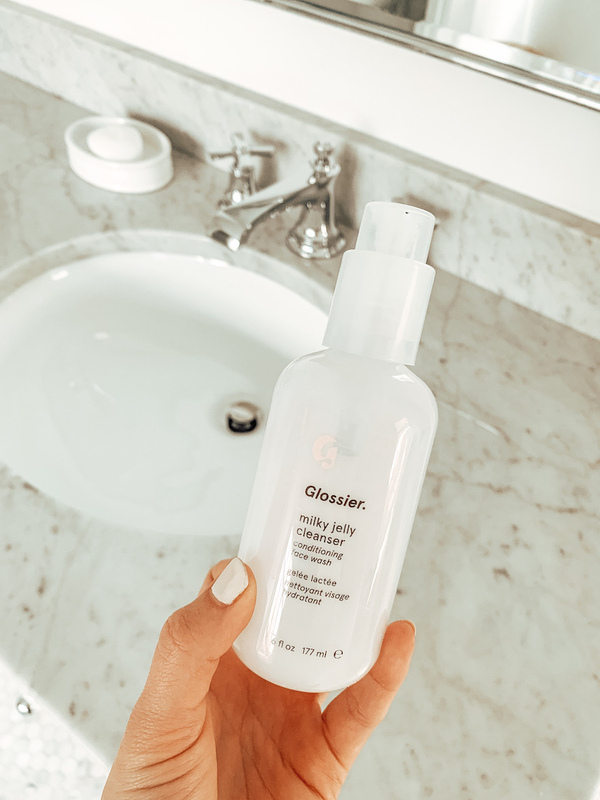 In fact, I actually reviewed the Glossier Milky Jelly Cleanser way back in the blog’s early days. Ever since, it has been a staple in my routine. The price! $18 for 6 fl oz is SO good. If you first apply it to a dry face, it is really good at removing your makeup. It is so gentle! No redness, just a clean, hydrated face. The option to get a travel size is perfect for trips! Polaxamer: A cleansing agent used in contact lens solution…so its effective, yet gentle! Rosewater: ¼ of the water content is replaced with rosewater which is soothing, but also makes it smell SO good! Comfrey Root Extract: Heals dry and stressed skin! Aquaxyl: Helps to restore the skin’s protective barrier. When I’ve tried oil cleansers in the past, my big frustration with them was it didn’t seem like I could actually wash it off. So it never felt like I was really getting clean. With this cleanser, it’s the absolute best of both worlds. At first it’s a thick, oily cleanse that helps to pull up dirt from your pores. Then, after adding just a little bit of water to your fingertips, it turns into a milky, creamy cleanse! After I rinse it off, my skin feels like a DREAM. So soft and supple! Totally hydrated but also totally clean. I don’t know if I can ever live without this cleanser again. 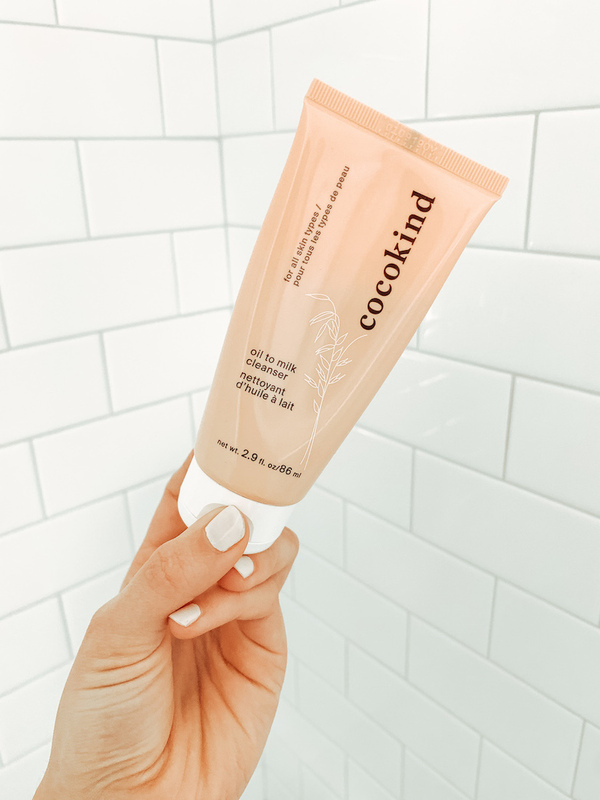 Oat Kernel Oil, Oat Kernel Extract, and Lactobacillus Ferment (*the hero ingredient in this cleanser*): A prebiotic complex of gmo-free, fermented oat, which helps create a healthy environment for our microbiome to thrive, where bacteria can obtain energy and nutrients to live and reproduce. SO…our skin is better able to defend us from external pathogens, inflammation or irritation, and environmental stressors. Organic Sunflower Oil: High in linoleic acid and vitamin E, sunflower oil works as a skin conditioner and protective addition to the skin’s barrier. Glycerin: Mild and safe, this gmo-free and soy-free humectant draws moisture in and keeps the skin hydrated and soft to the touch. Its natural preservative properties work to help carry other ingredients in our formula without causing irritation. Organic Grapeseed Oil: Lightweight and non-greasy, this oil is rich in vitamins and delivers gentle firming properties when used topically. I don’t think I’ll ever go back to the Glossier Milky Jelly Cleanser full time, but the one negative of the Cocokind Oil to Milk Cleanser compared to Glossier is the price per fl oz. It’s still incredibly affordable, though. With the higher price per fluid ounce, you are getting a more eco-friendly bottle (no plastic!) AND more organic ingredients! Snaps for you, Cocokind! I can’t wait until it’s available at Whole Foods this summer so I can stop paying shipping costs!! Here’s the thing, while I’m a HUGE advocate for non-foaming EVERYTHING (including body wash, hand soap, etc. ), you do you. 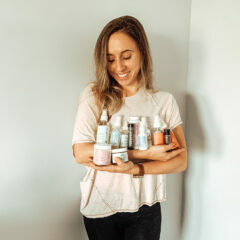 Of course, if you’re going to turn to foaming products, just make sure there are no sulfates in them because those nasty things will ruin the natural barriers and processes your body has in place! Even when it comes to shampoo, there are plenty that have zero sulfates, but still create a lather…hello, Prose! 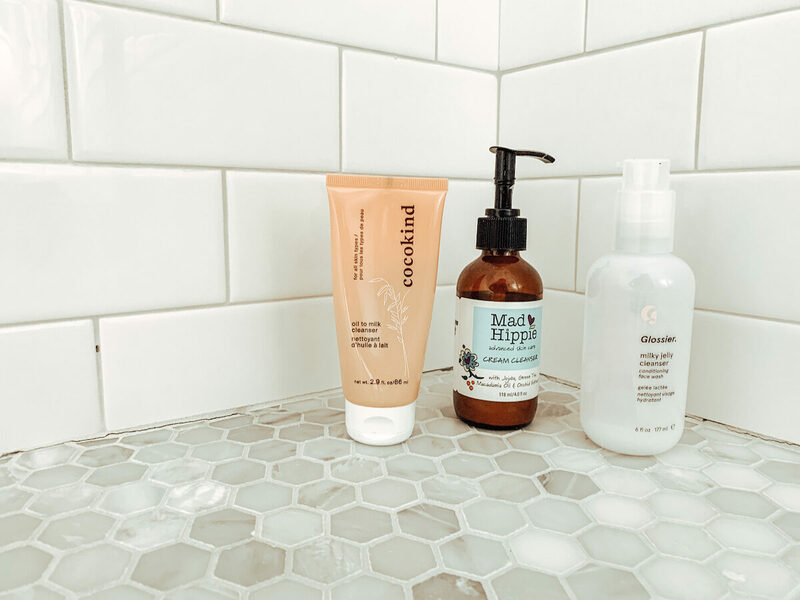 I think I made it pretty obvious, but my favorite of the three non-foaming cleansers here is the Cocokind Oil to Milk Cleanser. It’s SO good you guys, but honestly you can’t go wrong with all three of these! Are you a foaming or non-foaming cleanser fan? If you’ve never tried a non-foaming cleanser give it a try and let me know what you think!